“If the good news is that over-the-counter pain killers such as acetaminophen, ibuprofen and naproxen won’t put you at risk for addiction issues like prescription opioids or narcotics can, the less good news is that no pain pill comes without the potential for problems, says Nitin Sekhri, medical director of pain management at Westchester Medical Center in Valhalla, N.Y.
“Acetaminophen, the active ingredient in Tylenol, is considered the safest option by many, and yet, Sekhri notes, it’s still to blame for about 50 percent of acute liver failures in the U.S. Acetaminophen also is the leading reason behind calls to poison control and to blame for more than 50,000 emergency room visits a year. Read this article in its entirety at AARP, click here. “Spending on pharmaceuticals is on the rise worldwide. And it well should be. Today, we are able to cure some diseases like hepatitis C that were virtual death sentences just a few years ago. This progress required significant investments by governments and private companies alike. Unquestionably, the world is better off for it. “Unfortunately, as President Trump pointed out in the State of the Union address, the United States has borne a significant amount of the negative effects associated with this development. For one, its regulatory apparatus has focused largely on drug safety, yet regulators have failed to emphasize cost-effectiveness when it comes to both new and existing drugs. Read this article at The Conversation in its entirety, click here. “Every time her parents pick up a new prescription at a Walgreens in Houston, they follow Duyen Pham-Madden’s standing instructions: Use the iPad she bought for them, log onto FaceTime, hold up the pill bottles for her examination. “Her mother, 79, and father, 77, need numerous medications, but have trouble grasping when and how to take them. Continue reading this important article at The New York Times, click here. “Nearly 20 million Americans suffer from chronic pain that interferes with their daily activities, according to a new report from the Centers for Disease Control and Prevention. “The CDC reviewed the 2016 National Health Interview Survey, which includes responses from more than 17,000 adults, and found that 1 in 5 Americans, or about 50 million people, suffer from chronic pain. Keep reading this article at Fierce Healthcare.com. “This anecdote reflects society’s changing attitude toward opioids, but brings up another impor­tant point. How, while our nation battles an opioid epidemic, do we ensure that patients are open to taking narcotics when needed, or have ac­­cess to pain medication? It is difficult to manage opi­oid prescribing in a way that prevents abuse while meeting patients’ needs. 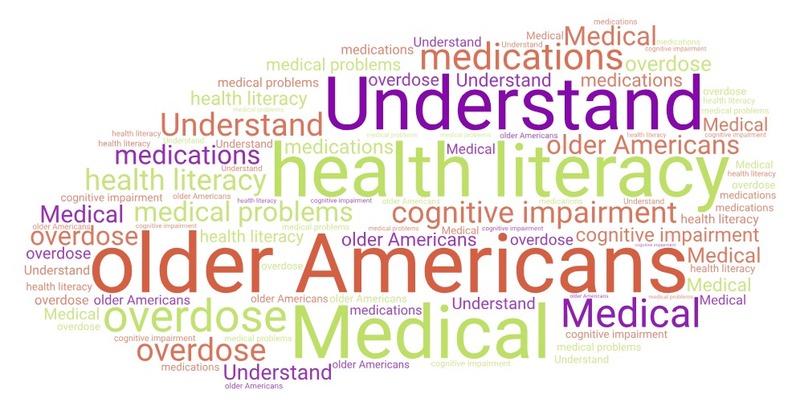 This becomes twice as hard when prescribing for the aging population, including older adults who have ad­­vanced-stage illness or who are at the end of life. Read this article in its entirety, click here. “Next winter, there may be a new drug for people who contract influenza — one that appears to be able to shut down infection quickly and, unlike anything else on the market, can be taken as a single dose. “The Food and Drug Administration on Tuesday said that it would give the drug, baloxavir marboxil, a priority review, and approval has the potential to upend the way influenza is treated. Read the article in its entirety, click here. “By some estimates, the cost of patients not taking their medications as prescribed – known as medical non-adherence or non-compliance – is as high as $290 billion each year and may result in as many as 125,000 unnecessary deaths. “It’s a vexing problem for health care providers, pharmacies, insurers, and almost every other player in the health care system with only 50% of us take our medication as prescribed. “I recently spoke with Tomer Gofer, CEO of Vaica, a company developing digital health products to help us remember how and when to take our medications as we should. Keep reading this important article, click here.